The transition of fall is upon us and gardeners are busy tending to late summer harvests, pruning back perennials, prepping for slower plant growth and more. But fall doesn't have to be all about wrapping up the growing season. In fact, life is sprouting and new garden plants are growing with the promise of fall, winter and early spring harvests. Are you looking to join the cool-season gardening craze? 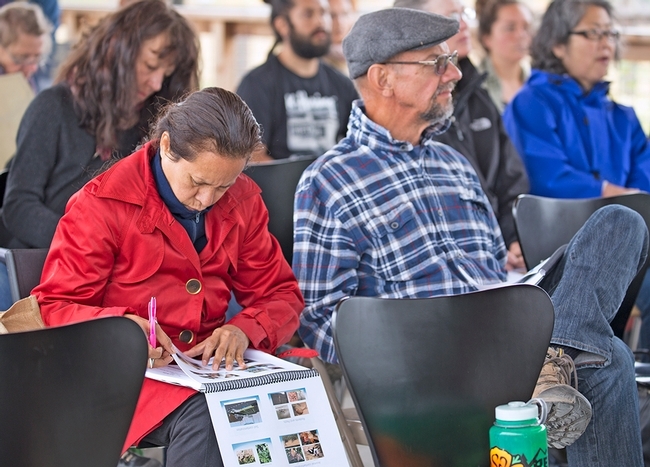 The UC Master Gardener Program has engaging workshops to inform and inspire this fall. Bay Area residents can check out Growing Garlic and Onions in San Jose or Top 10 Vegetables for your Winter Garden in Campbell, both hosted by the UC Master Gardener Program of Santa Clara County. Another great resource is Saving the Harvest, a gardening and preserving guide and 2019 calendar created by the UC Master Gardener and UC Master Food Preserver Programs in Sacramento County. Check out the local offerings in your area at UC Master Gardener Program events. An alternative from planting from seeds is to buy vegetables that have already been started at a local nursery. Maintain your warm-season garden with regular checks and harvesting. Prune new growth, flowers and any small or very immature fruits from tomatoes, eggplants and peppers. This practice encourages the plants to put energy into ripening fruit that has already set. Harvest and store seeds for next year's warm-season garden. To save and use seeds in the future, make sure you have a dry, cool location for seed storage. Don't forget to label and organize seeds to make preparation and planting easier in the spring. Remove and compost plants that have reached the natural end of lives or fruitfulness. Enjoy regular harvest of late-season-bearing cane berries like raspberries and blackberries. Check vines regularly for ripe fruit and pick before the birds steal away the fruit. Check and harvest edible landscape plants as well. Pineapple guava, Acca sellowiana, is a fantastic landscape shrub that has the added bonus of producing a tropical fruit. When pineapple guava fruit fall to the ground they are ripe, collect the fruits and wash, slice and eat the white fruit on the inside (like you would eat a kiwi). 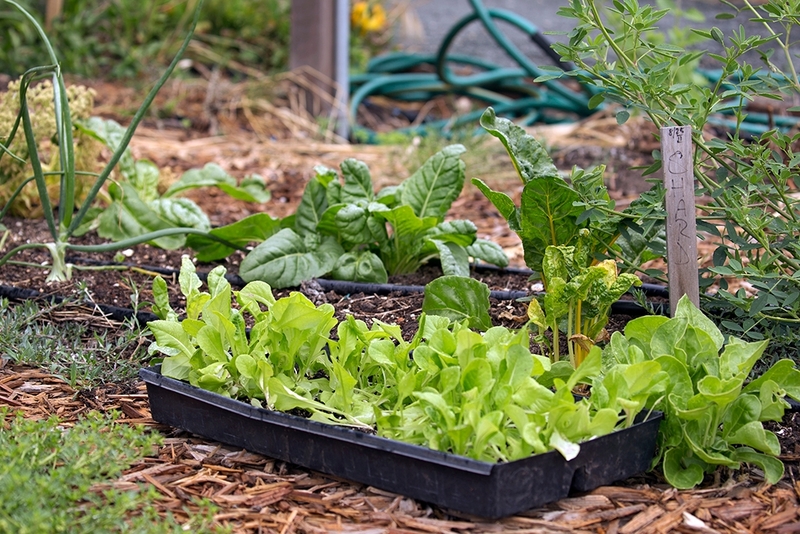 By the end of the month it's time to start planting a cool-season garden. Try radishes and lettuces for harvest in late fall. They mature quickly and pair beautifully with roasted vegetables, cheese and nuts for a harvest-themed dinner salad. Broccoli and cauliflower are a great addition to your garden for winter harvest. Try roasting or making a creamy soup for a warm dinner on a cold night. Finally, onions and shallots are a must for your cool-season garden. They are slower to mature and will be ready for harvest in early spring to brighten your dishes and usher in a change in the seasons. Plant radishes, turnips, beets, onions and kale from seed. Pick up vegetable starts for broccoli, cauliflower, cabbage and lettuces at your local garden center. Keep soil moist while young plants send roots out into your garden bed. Provide shade to cool-season vegetables if needed to protect them from hot afternoon sun. The UC Master Gardener Program has classes and events across the state to teach communities about about how to grow and harvest food from their home gardens and landscapes. The UC Master Gardener volunteers are eager to help with all of your gardening needs. 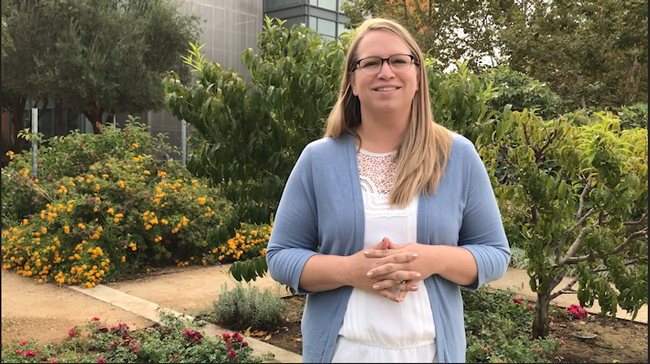 The UC Master Gardener Program can work with teachers and community volunteers to provide gardening information and consultation in the support of school gardens. With local programs based in more than 50 counties across California, there is sure to be a workshop or class near you. Visit our website to find your local UC Master Gardener Program, mg.ucanr.edu.